The city has fallen. It’s time to bring out the big guns. Dive to the depths of the monster pit armed with the most powerful editing, compositing and VFX software: HitFilm Pro. You don’t need wings to fly. Just a lot of wires and a willing stunt artist. Learn how to drop down to the fiery depths of hell (and still live to make a movie about it). 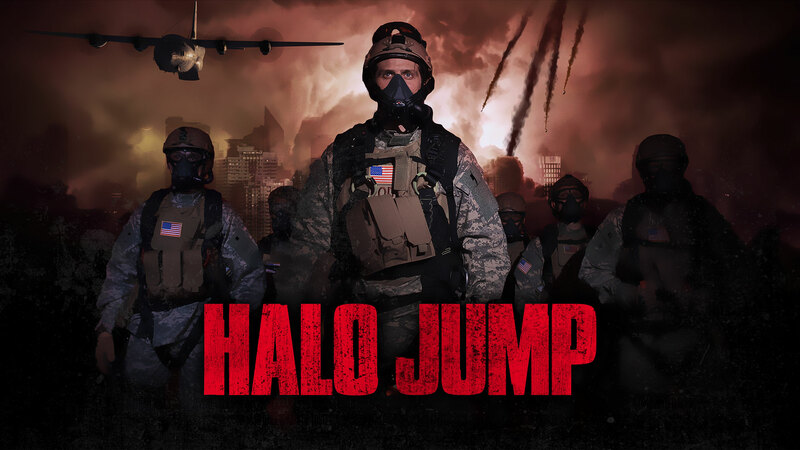 Want to recreate the iconic HALO Jump sequence without breaking the bank or leaving the ground? We got you. 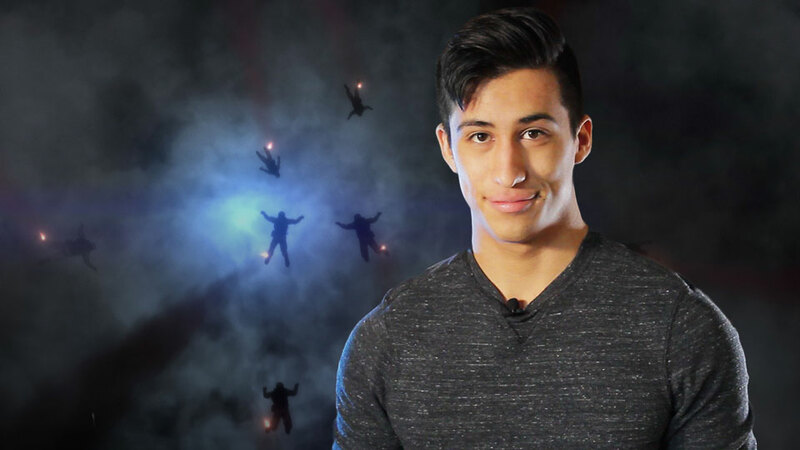 In this tutorial you’ll learn how to harness the power of blue screen, masking, smoke and lighting effects to make your actor fly high from the studio. Hurl lightning, summon stormclouds and revel in the X-ability you’ve always wanted. Here we’ll show how to create tense atmospheres with the full range of weather effects. Create your own apocalyptic skyline with HitFilm Pro’s smoke particle field and lightning effects. Intensify somber shots with dark, ominous clouds or make lightning bolts burst through the dark for an extra-chilling effect. Want to add a tiny glimmer of hope? Use lighting effects to give that cumulonimbus a silver lining. Watch how to get the most out of your resources so you won’t have to search far and wide for extras to star in your blockbuster hit. 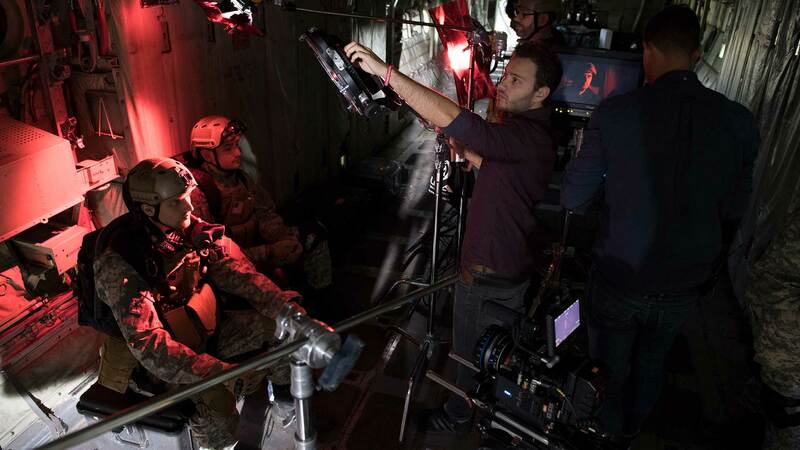 Creating the most iconic and believable squad of soldiers is a mix of on-set tricks and VFX magic. Firstly, precision in pre-production is key - so lock off the camera, split the screen and watch your one person army become four with the power of mask cloning. Once you have the cloning nailed, blur the lines of symmetry with masking tools and have your soldiers quaking in their boots by applying realistic camera shake. Some Hollywood blockbusters are just smoke and mirrors. Here we pull back the curtain on all the VFX tricks used to turn gargantuan fictions into believable action scenes. You got your 3D models, 2D actors and one powerful piece of software. Now, it’s time to put it all together. 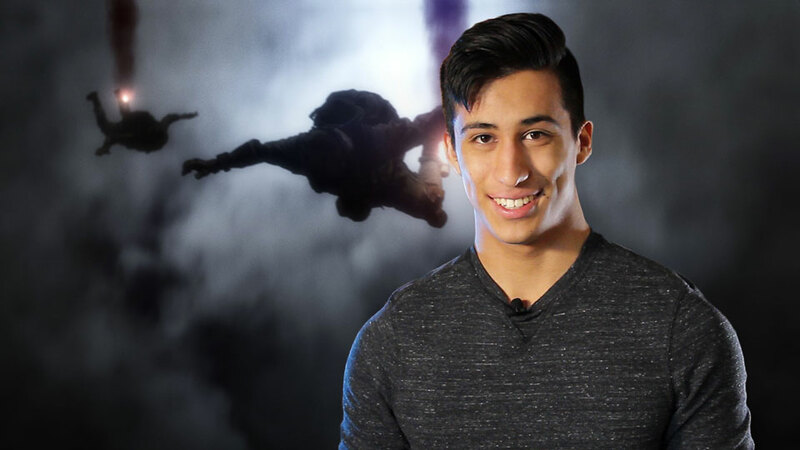 Let Calvin Serrano show you how to composite this complex HALO Jump shot (feat. 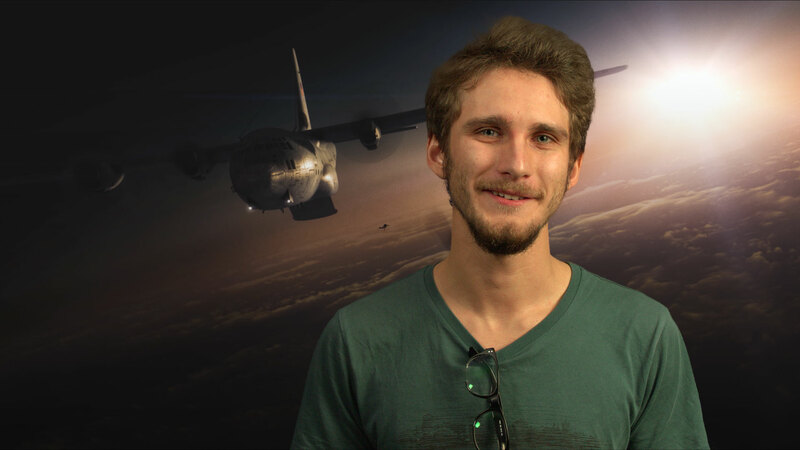 a 3D C-130 Hercules Airplane model) with simple mirror reflections, lighting effects and realistic smoke distortions. 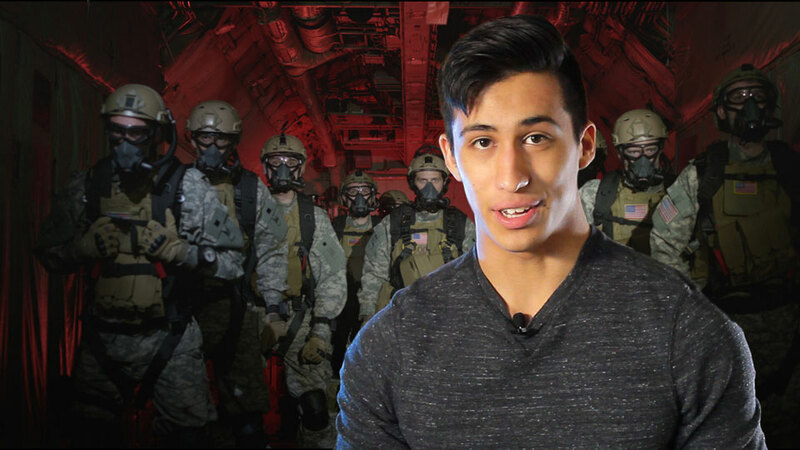 Giant blue screens, military-grade airplanes, and some impressive core-strengthening suspension from our stuntman– find out what it took to get HALO Jump off the ground. Note: No prehistoric monsters were harmed in the making of the film.